A sweet water lake in the Northern Jordan Valley. Also known as Lake Kinneret. Its main source is the Jordan River. On its shores are three fertile valleys: The Ginossar Valley in the north-west, the Beit-Zida Valley in the north-east and the Jordan Valley in the south. It is a holy place by Christian tradition, It was at the Sea of Galilee that Jesus taught from Peter’s boat, calmed the storm and walked on water. In the 19th century Jewish settlement was renewed on the shores of the Sea of Galilee and today its shores serve as public spas and beaches. This is one of the most popular sites to visit when touring the Holy Land. The archeological site of Caesarea Philippi is situated in the Banias Nature Reserve in Northern Israel and is the site where according to the scriptures, Jesus asked his disciples to tell him who people believed he was. 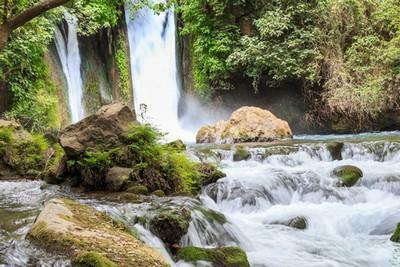 This place of outstanding natural beauty includes the stunning Banias waterfall set in magnificent lush surroundings. Caesarea Philippi has been known by many names. The original ancient city was called Mivzar Dan and later renamed Panias after the Greek God Pan and then change to Banias. It was here that King Herod dedicated a temple that he built to Augustus Caesar. Eventually Phillip, the son of Herod changed the name to Caesarea Philippi. When visiting the Banias Nature Reserve during a tour to the Holy Land visitors can view the Banias Cave as well as the remains of Herod’s Temple. Aside from the interesting biblical and historical connections there is a great deal to see in the area including walking trails, places to picnic and just to enjoy the magnificent surroundings. 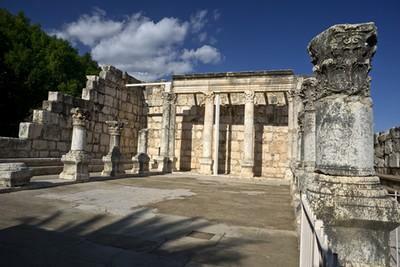 One of the places to visit on a Holy Land Tour is Capernaum on the site of an ancient fishing village on the north-western shore of the Sea of Galilee, about 4 km south west of the mouth of the Jordan River. The location of the village of Nahum, according to Jewish tradition, named after the Prophet Nahum. Christian tradition associates this with the birth place of Petrus and the home of Jesus for a period where he preached and performed miracles. Contains the remains of a Jewish synagogue from the 3rd century, apparently built on the ruins of a former synagogue where, according to Christian belief, Jesus preached. 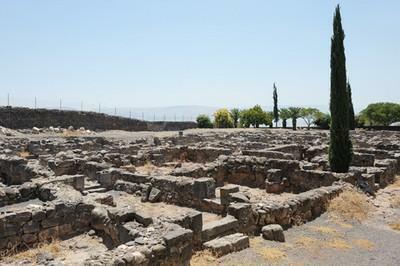 Capernaum is known as Jesus’ “own town” and is prominently featured in the Gospel Narratives. The town itself was the home of the apostles James and John as well as Simon “called Peter” and his brother Andrew and it was here in the ancient synagogue that Jesus taught and healed many people. It is here in the heart of Jesus Galilee ministry that visitors to the Holy Land will be able to see the remains of Peter’s house, which is found at the centre of a modern church. The surrounding ruins are strong reminders of the past as pilgrims over centuries have left many inscriptions on the walls where Jesus’ name appears many times, as well as that of Peter’s. The Church of the Annunciation or the Basilica of the Annunciation in Nazareth recalls the announcement of the Angel Gabriel to the Virgin Mary of the approaching virgin birth. The church is situated in Nazareth, Northern Israel, and is the most inspiring and impressive sites in the city as well as one of the holiest Christian churches in the Holy Land. 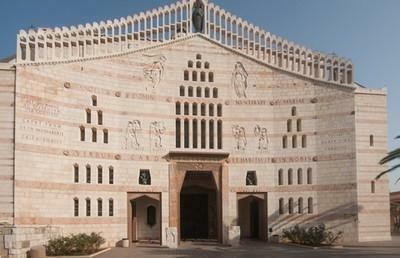 The very large and beautiful two story Basilica was designed and decorated in a modern style of architecture and when completed in 1969 became the largest Christian church in the Middle East. The Mount of Beatitudes at the northwestern point of the Sea of Galilee is where Jesus delivered the Sermon on the Mount. With its view toward Capernaum and Tabgha the hill is shaped with a hollow that serves as a natural amphitheater. The flower-filled gardens of the Mount of Beatitudes are a treat for visitors. 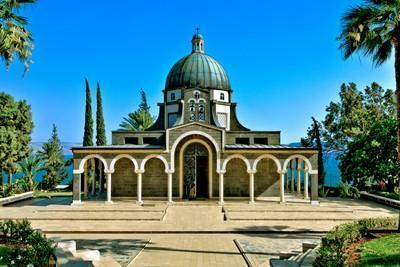 The Italian government funded the construction of the black-domed Church of the Beatitudes in 1937. The Arab city of Nazareth is Holy to Christians as this is the city in which Jesus grew up. In Hebrew it is called Natsrat, thus Jesus was known as a Nazarene and his followers became Nazarenes. In Hebrew: Notsrim. Archaeological findings indicate that Nazareth was populated already in the early Canaanite Period. The city of Nazareth is located in the Galilee region and is first mentioned as a Jewish city in the New Testament and continued to be so after the destruction of the Second Temple. Jewish Nazareth was apparently destroyed following the Byzantines victory over the Persians in 614. This city of spirituality, holiness, religion and faith is the cradle of Christianity and has a rich and fascinating history. There are monasteries and churches associated with a Christian tradition, the most important of these being the Church of the Annunciation where according to Christian tradition the angel appeared before Mary to announce she would bear a son. Next to the Church of the Annunciation is the Church of Saint Joseph where according to tradition Joseph had his carpentry shop. There are also approximately 30 other churches as well as mosques and ancient synagogues. Nazareth’s Old City Market is well worth a visit, it has become an attraction due to the colourful stalls and the wide variety of fabrics, spices, local foods and souvenirs that offer an authentic Middle Eastern experience. Located in the North of the Ginnosar Valley on the shore of the Sea of Galilee, Tabgha is an Arab contraction of the Greek name Heptapegon - Seven Springs and is the traditional location of the miracle of the loaves and the fishes and the post-resurrection appearance of Jesus. The Church of the Multiplication built on the remains of a church first built in the year 350 stands here and contains a well preserved mosaic floor from the 5th century. Also visit the Church of St. Peter’s Primacy and the Octagon Pool. Named after the Roman Emperor Tiberias, this 2000 year old town is situated on the Sea of Galilee and the town and surrounding areas are of importance to Jews and Christians alike. Tiberias is one of the four cities holy to the Jews and was the seat of famous Talmudic scholars; the other 3 holy cities are Jerusalem Hebron and Safed. 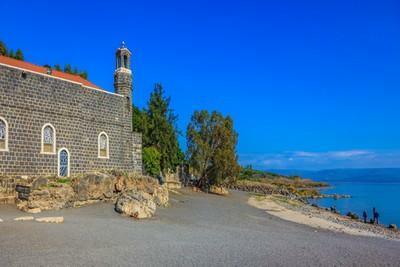 For Christian visitors the area around Tiberias abounds with places to visit. 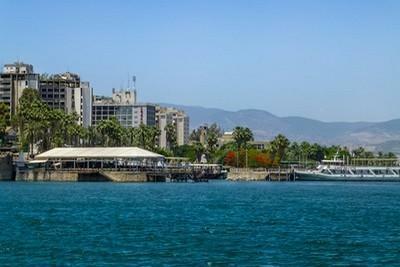 Today the city of Tiberias is a major spa and resort area. Attractions include: the Tiberias Hot Baths, know since ancient times, the burial sites of many of Judaism’s most famous rabbis and scholars including the Rambam and Rabbi Akiva, several ancient sites including Tel Rakat and Ein Kotzer, Roman and Crusader buildings and towers and an ancient Roman bathhouse. While on a Holy Land tour, after seeing the historical and biblical sites, visitors can enjoy the lively commercial centre and downtown area with its numerous excellent restaurants catering to all tastes, as well as interesting souvenir shops, or perhaps takes a tour around the town in a horse drawn carriage. The sacred baptismal site of Yardenit at Kibbutz Kinneret in the Galilee is visited by over half a million visitors every year. 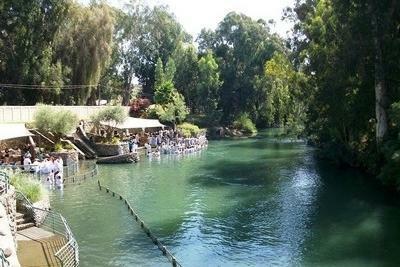 It is a registered baptismal site for Christian pilgrims and its location in a beautiful setting on the banks of the Jordan River is a perfect spot for serene and tranquil contemplation. 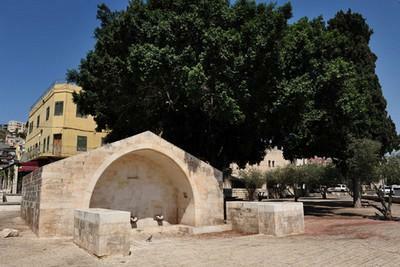 This extraordinary and appealing site is believed to be the place where Jesus was baptized by John the Baptist and is a very popular place to visit while touring in Israel.